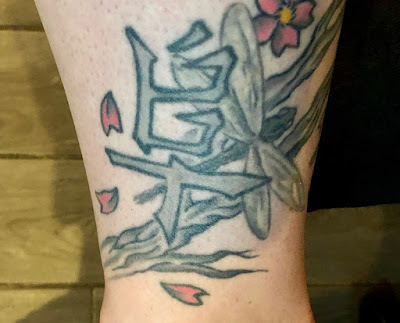 I’m curious about my tattoo I got wen I was a teenager. I was under the impression that it meant prosperity and of course I never thought to double check. Funny thing is I was out to dinner and a server brought up the mention that it looked to be about a boat. Now I would rly like to know what if anything it means. I hope you can help I cannot find anything anywhere. 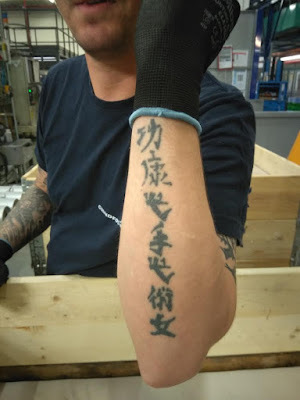 Thought you might enjoy seeing a "discussion" about a hanzi tattoo that took place on twitter. 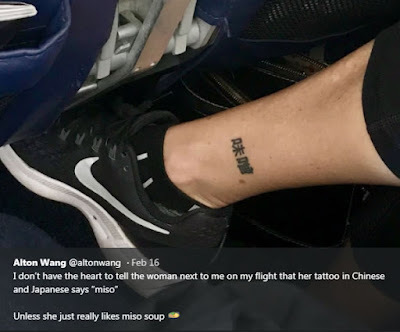 I was trying to figure out the mechanics and ethics of sending a picture of the impromptu tattoo so I could get the joke, too when I found out it had already been done. 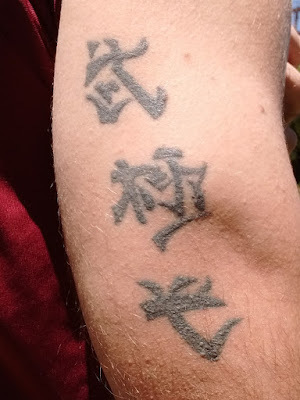 I made this tattoo when I was young, I would like to know the real meaning. If you can help me, I'd appreciate it. Thank you!